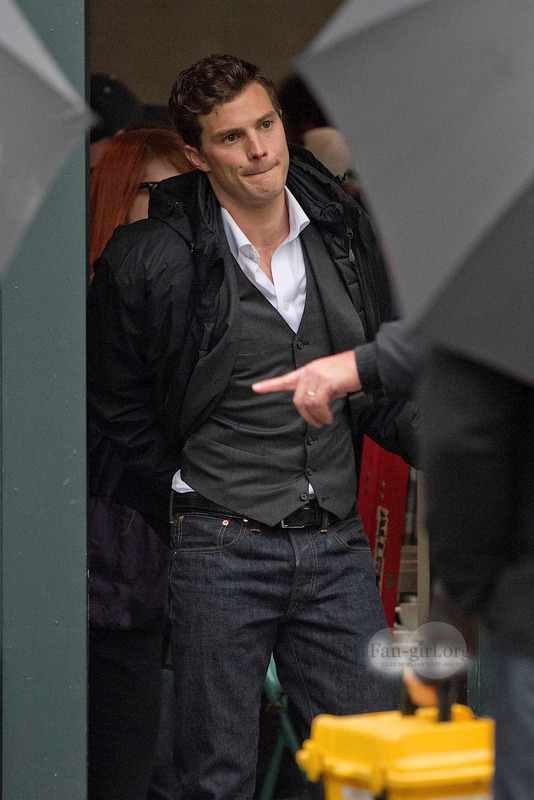 Jamie on the set of Fifty Shades of Grey. . HD Wallpaper and background images in the Fifty Shades of Grey club tagged: photo. This Fifty Shades of Grey photo contains geschäftsanzug and business-anzug. There might also be gut gekleidete person, anzug, hosenanzug, pantsuit, zeichen, plakat, text, tafel, schilder, poster, oberbekleidung, überkleidung, and overclothes.